Timothy Hall, associate professor of philosophy at Oberlin College, unexpectedly died this past Sunday at the age of 48. Professor Hall taught at Oberlin for 16 years, and wrote on topics in ethics and political philosophy. He received his undergraduate degree from the University of California, Berkeley, and his PhD from the University of California, Los Angeles. It is with great sadness that I share news of the unexpected death of Timothy Hall. 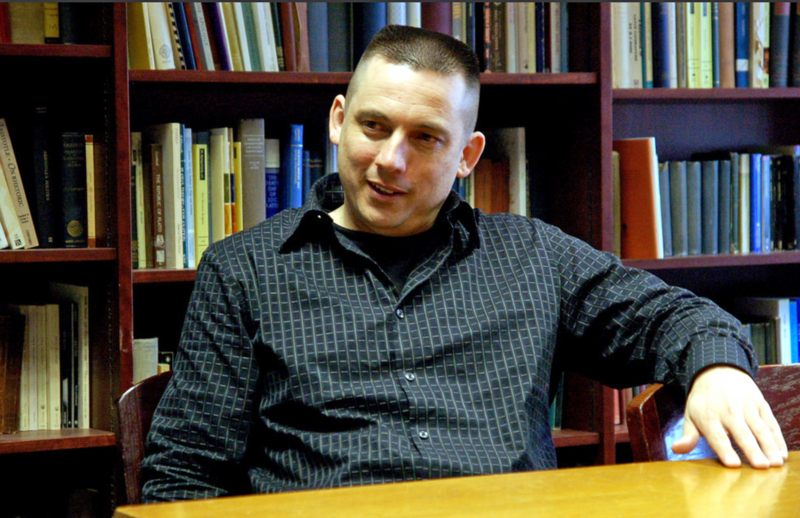 Tim joined the Oberlin Philosophy Department in 2001 and received tenure in 2007. He has taught a wide range of courses in normative ethics, applied ethics, and political and legal philosophy. His research focused on the relation between self-ownership and property rights—see his important article, ‘Doing Harm, Allowing Harm, and Denying Resources’ reprinted in the 2011 anthology, Ethics and Moral Philosophy (ed. Thom Brooks, Leiden). Recently Tim gave a lively and well-attended talk at Utica College on gun rights. Tim will be remembered for his dynamic teaching, his sharp wit, and his great passion for philosophy. He will be remembered by his students and colleagues as one who was deeply committed to the importance of exploring diverse perspectives on society’s most challenging issues, a core value of the liberal arts.